Curious Art Gallery hosts Session Two – Beginner to Intermediate Curious Digital Photography Workshops. 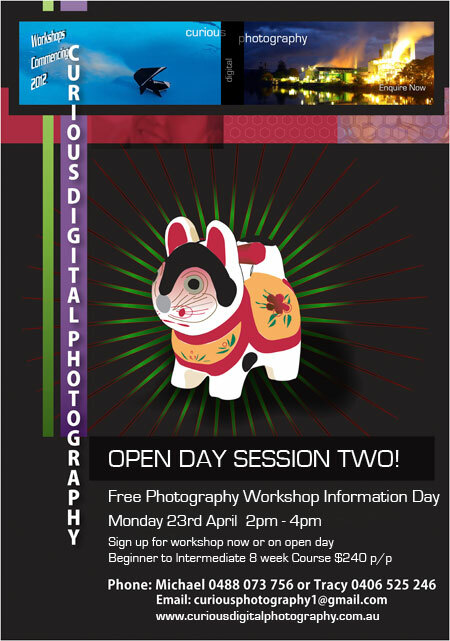 A no cost open day will be held on 23rd April 2012 at 2pm to 4pm. All interested in these creative workshops are welcome to attend and get a taste of what you could be learning. Registration is now open or on the open day. The Hungry Ocean has been showing for the last two weeks. There have been many visitors to the Gallery who don’t live in the immediate area and are amazed at the extent of the erosion Kingscliff has suffered since 2009. 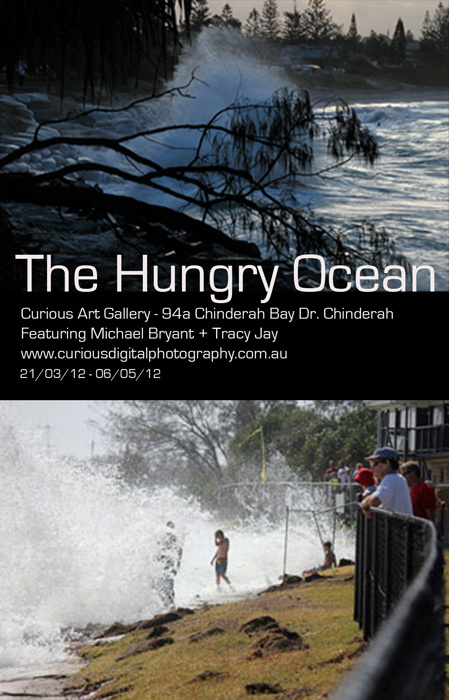 The extensive body of photographic work chronicles the massive coastal erosion events affecting the tourist town of Kingscliff Beach from 2009-2011. An entire foreshore has effectively been reclaimed by the ocean. Hundreds of trees and sea grass that grew upon the dunes and walk tracks to the beach are either buried under the sand or have been renoved by Tweed Shire Council. The exhibition aims to promote awareness of the local issue as a microcosm of global events.